The brake can fail, posing a crash or fall hazard to the rider. 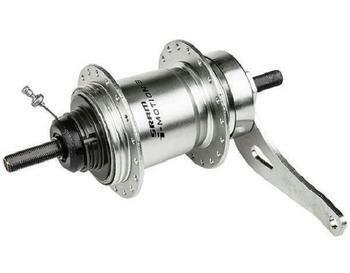 SRAM is recalling about 700 three-speed internal gear hubs with a coaster brake. The company has received no reports of incidents or injuries in Canada. In the U.S., there have been four 4 reports of crashes or falls, and one report of a knee and ankle injury from a fall. The gear hubs, manufactured in Taiwan, were sold in Canada from February 2014, to January 2018. Consumers should immediately stop using the recalled hub and contact SRAM for reimbursement of the affected bicycle. SRAM will repurchase the affected bikes at a fair market, depreciated value, based on the Bicycle Blue Book. Consumers with questions may can contact SRAM’s Canadian distributor HLC at (888) 522-2453 between 9:00 a.m. and 8:00 p.m. (EST) Monday through Friday, or online at https://www.sram.com/.